John Cheatle is a senior instrument technician. John's principal area of responsibility is in our basic instrumentation. In this role he provides repair and troubleshooting, field service, and calibration certification. John is well known within our customer base. 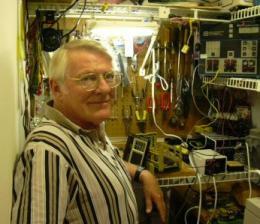 John spent 20 years in the Navy as an electronics technician. Prior to joining us he spent 10 years with Leeds & Northrup in service. With this background he is uniquely qualified to provide the service our customers demand.